While this device is the little brother of the Galaxy S II, the specs on this phone are anything but mini. With a 1.4GHz (potentially dual-core?) processor, 3.7" screen, Gingerbread at launch and HSPA+21 data connectivity, this handset seems to break the stigma that "mini" means "budget". 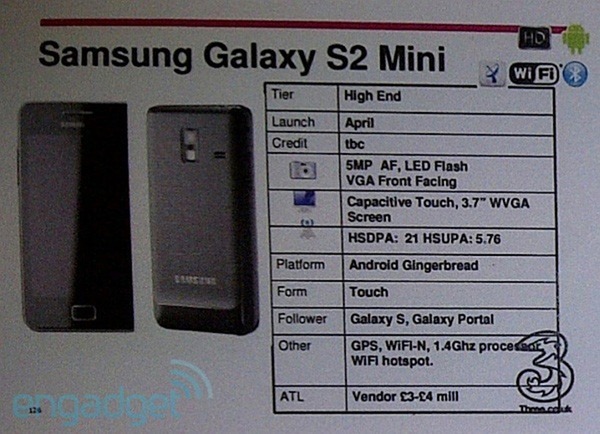 The lucky chaps on Three should see the Galaxy S II Mini around April, along with the Galaxy Pro, the Desire S, the Xperia Play, and the Xperia Arc. 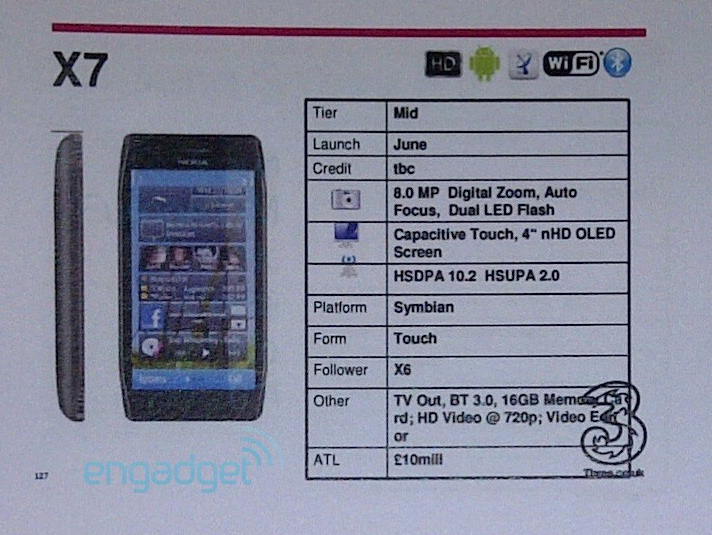 The Galaxy S II will hit shelves there in May, as will the Flyer, and you will have to wait until June to get your hands on the ChaCha and the Wi-Fi only Playbook. All in all, a great spring for our friends across the pond.